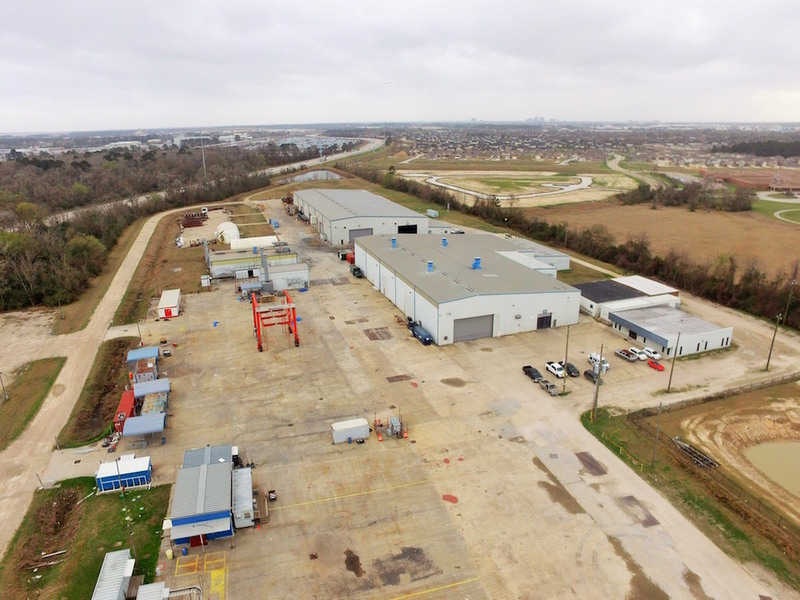 This industrial property on Bammel Road in Houston has been sold, NAI Partners reported. HOUSTON – (Realty News Report) – Oil prices have rebounded and that’s good news for the “crane-served” niche of the industrial real estate market, which – in Houston – caters to manufacturers focused on the energy industry. NAI Partners recently arranged the sale of a 110,000-SF manufacturing facility on 35 acres located at 1318 Bammel Road in Houston. The property was most recently home to Tennessee-based Lectrus Corp.
NAI Partners’ Ryan Searle, Nick Peterson and John Ferruzzo represented the seller, Granger Associates, a California-based real estate investment firm, in the transaction for 1318 Bammel Road. The purchaser was represented by Raintree Commercial’s Corey Ferguson. West Texas Intermediate crude was trading around $69 a barrel Monday, a significant recovery from early 2016 when it dipped below $30 a barrel. In the summer of 2014 oil was over $100. The steep decline dried up drilling activity and the demand for crane-served buildings in Houston – the Energy Capital of the World – declined. According to NAI Partners’ recently released Q2 2018 Houston Industrial Quarterly Report, the development pipeline is reaching levels not seen in over two years, logging 12.4 million sq. ft., compared to the all-time recorded high of 15 million sq. ft. reached in Q2 2015. NAI reports 7.6 million SF of industrial space has been completed so far this year.